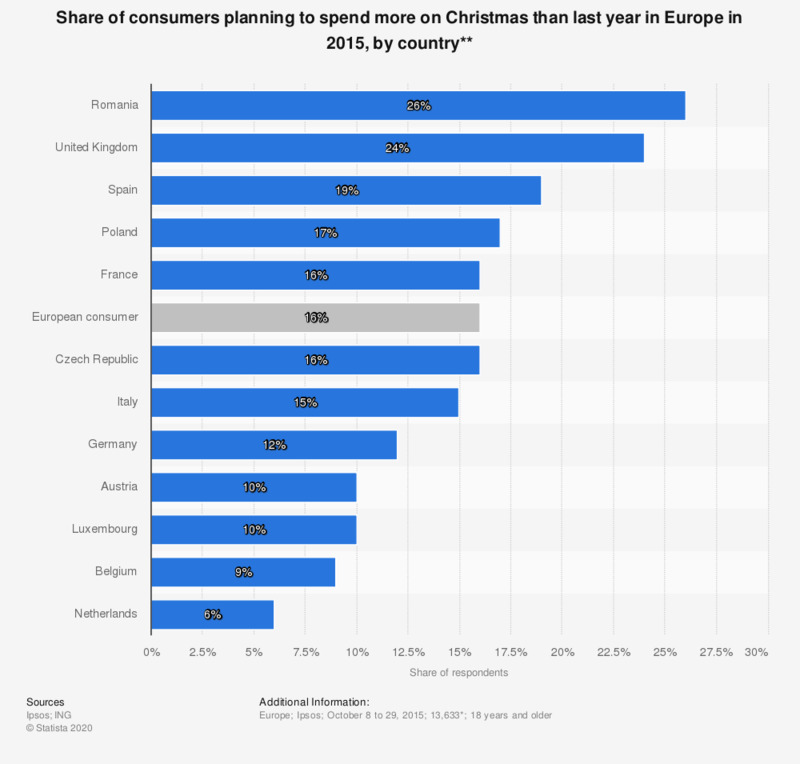 This statistic displays the share of consumers who are planning to spend more on Christmas in 2015 than last year in selected European countries. Overall 16 percent of European consumers are planning to spend more on Christmas this year than last. For Romanians this figure is slightly higher, with 26 percent of respondents in Romania planning to spend more. * Total sample. The survey was conducted across 12 European countries, the USA and Austrialia. Number of European respondents not given. ** Data shows all who answered 'agree' or 'strongly agree' to the statement "I am planning to spend more money on Christmas than last year". Where do you spend more on Sinterklaas (Saint Nicholas) and Christmas gifts than budgeted? Who do you spend the most money on while holiday shopping?